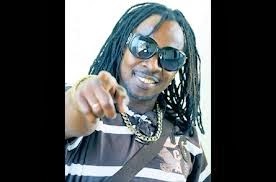 "When the Marleys call, you get a nostalgic feeling, at least I did " said Frisco Kid one of few Dancehall/Reggae artistes who've lasted over a decade that remains relevant in the reggae/dancehall music industry. "But it's the young Marleys and they love Dancehall and their Jamaican culture" a point which was clearly stated where the riddim is concern. Frisco Kid recorded a new track called "How Mi Bad So" that was recently released on the Marleys, Ghetto Youths International label. 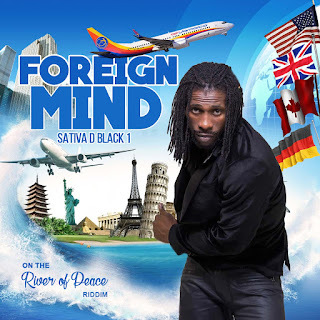 "How Mi Bad So' is a Dancehall track on which Frisco Kid answers his own question with a punchline that sings, Mi no know, mi no know, mi no know..... Now the riddim for this track is interesting, it was named after one of Jamaicans most colourful curse word 'Bloodclaat.' The word is used in several context depending on the mood of the user. If used even in a friendly conversation among the elite it can be vulgar and outright rude. When used among friends it can be hilarious but if used in a heated argument by an angry Jamaican, pierces the heart, mind and soul like a bullet from a gun, it's intense! The latter would best suit the riddim's concept that other artistes such as Wayne Marshall, Agent Sasco and Aidonia have recorded but while we are not sure, Frisco Kid had this to say, "We bad in a good way, it's just music." Well for us, this 'Bloodclaat riddim' is bad, like, fully bad! LOL. Over the last few weeks/months Frisco Kid has been hard at work in the studio, now the producers are releasing the tracks and a momentum is building once again for his career. 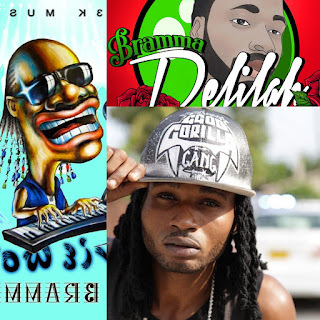 These tracks include the popular Gal Worl song produced by Seanizzle on the Brain Storm riddim, Shella Shella produced by Lock City/Truck Back Records, Mi Glass produced by Mr. Shellings Production, Number One Girl ft Steven 'Di Genius' McGregor on his Guitar String riddim as well as Mad World on the Mad World riddim also produced by Di Genius. Fans of Frisco Kid's music can look out for productions off his own labels, Ancient Monarchy Music and Shell Republick Productions and keep abreast with new projects and daily routines by following Frisco Kid on Facebook @friscomonarchy7 and twitter @friscomusic. Music is an art and there are many ways to express it, some popular and others quite unpopular but all music attract it's own audience. Common similarities between music and poetry are rhythm, expression and emotion. Rhythm is what makes music and poetry and both flows just the same. Dub chanting and/or dub poetry is a combination of both music and poetry and is mostly appreciated among educators and college/university students. But over the years stalwarts such as Mutabaruka and Yasus Afari, Oko Onoura and more recently No Maddz among others have bridged the gap between dub poetry/chanting in Jamaica which has led to the acceptance of the art among reggae/dancehall fans. This trait is inspiring and has kept Dub Chanter Courtney 'Iyunda' Robinson focused for years, "I know I have inspirational messages for the people," he said, "life is the highest and this is what I write about, this is the message I'm spreading" he told NIPnews. 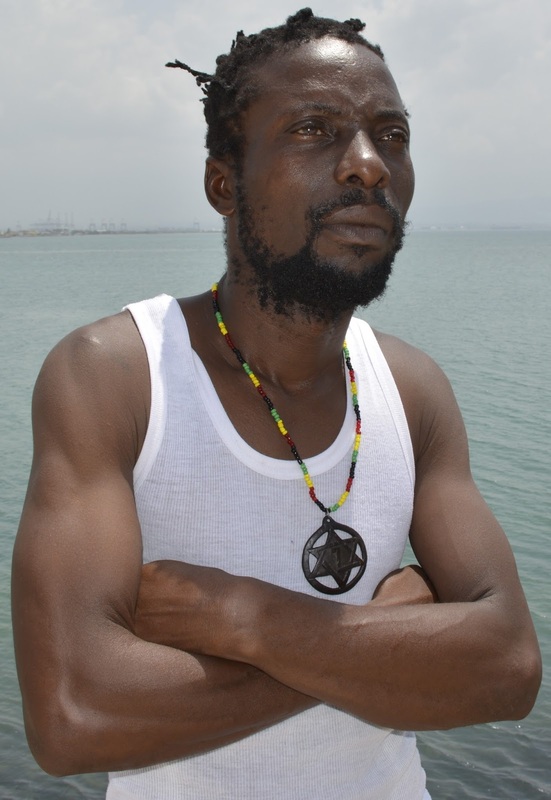 With dub poetry/chanting still not totally appreciated across Jamaica as compared to reggae and Dancehall, Iyunda is holding on to every bit of hope that the audience to which the genre appeals, will continue to support not only his but his colleague's creative ability as well. He is the founding member of the poetry group Tuff Tuff Triangle formulated with an aim to "chant down negativity." He has performed across Jamaica the Caribbean, Europe, the United States of America, Central America and Canada. 2013 has brought renewed hope for Iyunda with the release of a new track entitled, 'Yaad Man Skank' which features his partner and friend Dexta Malawi, graduate of the Edna Manley College of the Visual and Performings Arts. 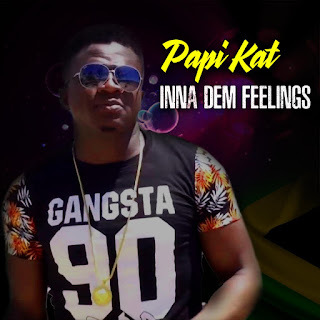 The track was created with an attempt to bring back the Jamaican skanking style of dancing and was recorded and mixed by recording engineer Kimani who is a nephew of the late legendary producer Sir Coxsone Dodd. The feedback was encouraging and subsequently lead to the timely release of another track entitled 'Sell Out" recorded on the popular Angola riddim that has been in heavy rotation across Jamaica. Iyunda is employed to the Downsound Record label in Kingston as the company's 'street man' with responsibility to assist the street management team in monitoring the artistes and promoting their music in the streets. "Me record fi Downsound to enuh, and do just about anything dem call upon me fi do fi strengthen the movement." he said. However, Iyunda is managed by Norman Little of Discount Reggae Tune label and the team is fully engaged at this time in running with the current air play wave been given to his "Sell Out" track usually played after Jah Bouk's track with the title of the same name of the riddim, 'Angola.' 'Sell Out' is dub chanting and it compliments the riddim's title track, check it out and keep following 'Iyunda' on his musical journey.